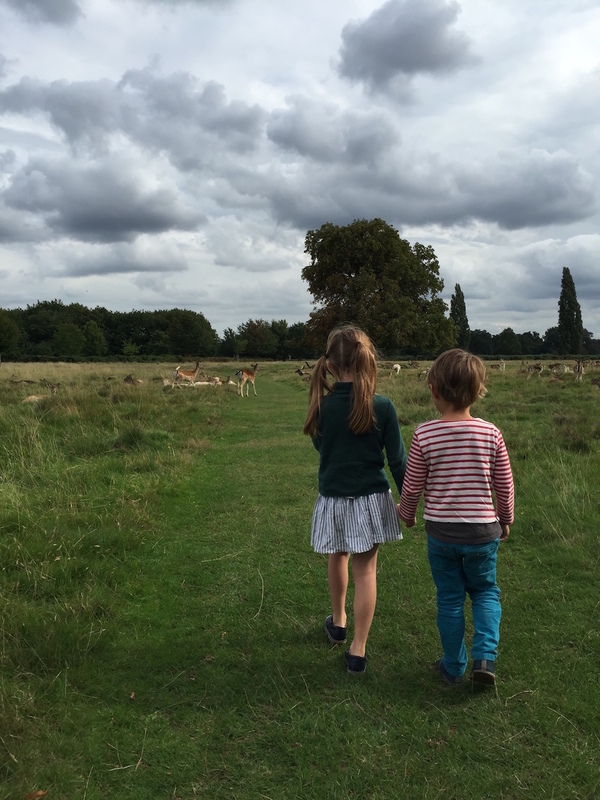 Primrose Hill park and playground is a firm favourite with our family. The park itself has a charm and character all of its own. On a sunny day you will find it abuzz with dog walkers, joggers and groups of people relaxing. It is a perfect spot to picnic or just sit and people watch and the view from the summit is one of the best in London. The play park at the edge of the hill has plenty of equipment to keep children entertained plus a sweet sand pit for younger kids. The spider’s web climbing frame is always a big hit! Hampstead Heath covers a vast area of land around Hampstead in North London. It’s the place to go if you want to feel like you’ve escaped to the countryside whilst being only a stone’s throw from the city. With varied landscapes such as rolling open parkland, meadows, lakes and woodland you can spend an entire weekend exploring The Heath and you still won’t have covered it all. 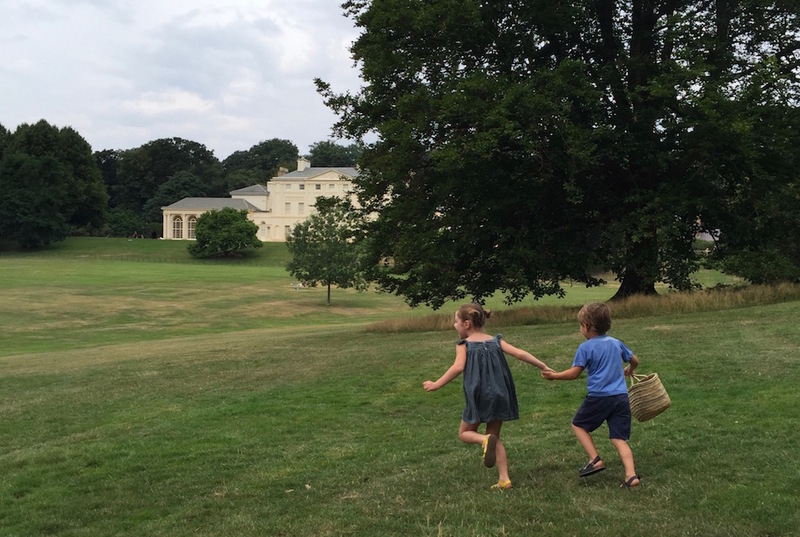 Don’t Miss Parliament Hill for great kite flying and panoramic views of London and Kenwood house for its beautifully landscaped grounds and cafes. Kensington Gardens (Princess Diana memorial playground) One of the most well equipped playgrounds in London. 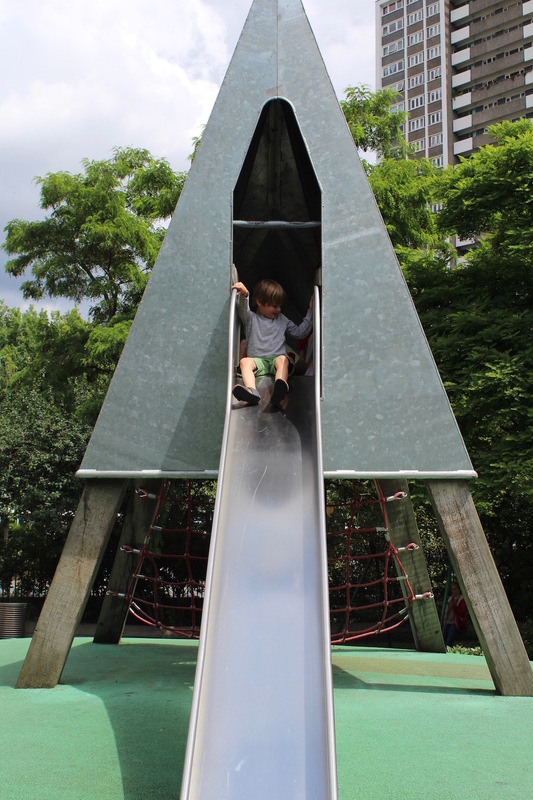 This Park captures a child’s imagination at every turn with thoughtfully designed areas such as the sound garden, the teepee encampment and of course the main attraction, the huge wooden pirate ship. On school holidays and weekends this park can get incredibly busy during which times they operate a queueing policy so arrive early to avoid disappointment. Bushy Park. What could be a better way to relax than getting closer to nature with a walk through woods and grassland surrounded by free roaming fallow deer. Like its neighbour Richmond Park, Bushy Park still has wild deer throughout the park just as it did when King Henry VIII used to hunt there. It also has an excellent kids play park suitable for all ages. The ‘secret’ playground in Marylebone Tucked discretely behind Marylebone High Street is Paddington Street Gardens and playground. It’s a lovely, well designed children’s playground that caters for both babies and bigger kids and because it is so well hidden it rarely gets overcrowded. Not to mention… it’s located just off one of the best shopping streets in London, Marylebone High Street. So it’s a great spot to take a break/have lunch/let the kids run around whilst visiting the many great shops on the high street. Marylebone Green Playground – Regents Park. Located on the south side of the park not far from Regent’s Park Tube Station. This play park has 3 different zones, a traditional play zone, an art play zone and a natural play zone. At the heart of the art play zone is an enormous spiral mountain with a slide long enough to delight even the biggest kids, it’s also surrounded by some fun geometric shaped rock-climbing walls. One of our favourite elements to this playground is the natural zone that includes a beautiful sculptural climbing frame (created from a Giant Elm, brought down in a winter storm.) The entire park is brilliantly designed and has enough features to keep kids entertained for hours. Spa Fields Park and Playground. Tucked behind Exmouth Market, one of our favourite spots in London, this wonderful little playground has lots of fun and quirky features. Our kids especially love the spinning see-saw. This is a great place to stop off and let little ones run around after trying out some of the delicious food on offer in Exmouth Market. Coram’s Fields – Central London. This unique 7-acre park located in the heart of central London, close to the British Museum, is home to grassy lawns (perfect for a picnic), sandpits, a few different playgrounds, a paddling pool (opened in the summer time), a kid-friendly café, and even a little city farm (sheep, goats, ducks, chickens, etc.)! The gated lot provides a safe place for children to run freely; adults without children are not allowed to enter. 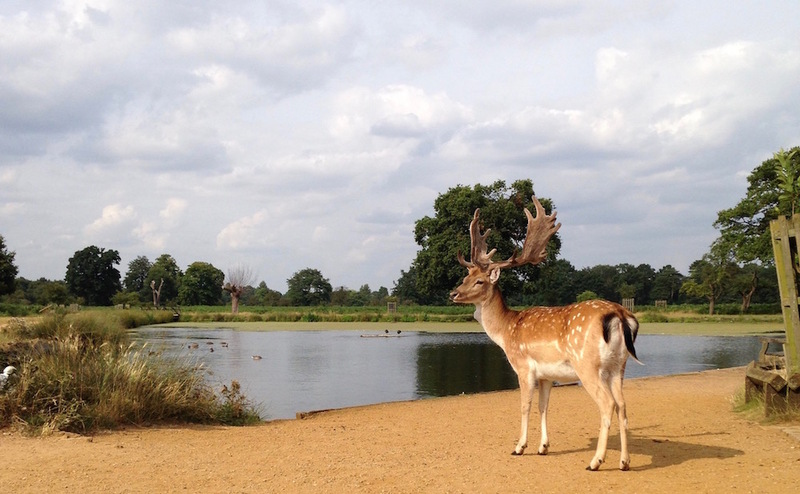 Richmond Park – Richmond. This is the largest of the eight royal parks in London, offering plenty of space for all sorts of different activities and adventures. There are around 650 deer that roam free throughout the park, a 40-acre woodland plantation, grasslands, hills and a playground located at the Petersham Gate entrance – all within this bustling capital city.